The NATIONAL CAMPAIGN FOR THE ARTS was established in the Republic of Ireland in September 2009. The purpose of this body is to act as a lobbying group for the arts to key policy makers in Ireland. The policy makers targeted are T.Ds (Teachta Dála), members of Dáil Éireann, the lower house of the Oireachtas (the Irish Parliament), Senators, members of Seanad Éireann, the upper house of the Oireachtas and local authority officials and councillors. Broadly speaking the NCFA is working to achieve its aims through three main channels. The NCFA advocates for the arts, at both a national and local level, engaging with both the political establishment and with the general public. It is also gathers evidence to support its case for the value of the arts and is about to commission its first piece of research. The campaign is also fighting to maintain and grow investment in arts & culture. The campaign engages with all political parties and candidates, promotes understanding of the value of the arts and seeks commitment to continued investment in the arts. The NCFA membership is a broad and inclusive coalition of people and organisations working in the arts and members of the general public. The campaign believes that the arts are an absolute necessity for a healthy society. NCFA claims the value of the contemporary and challenging as well as the classic and traditional arts. They believe that a culturally rich life should be accessible to all. The NCFA is for all the people of Ireland who, through their taxes and patronage, support and value the arts. It is for audiences, from children to aficionados, who enjoy the arts in all its forms. NCFA is for all those who believe in this vision, particularly artists and arts organisations. 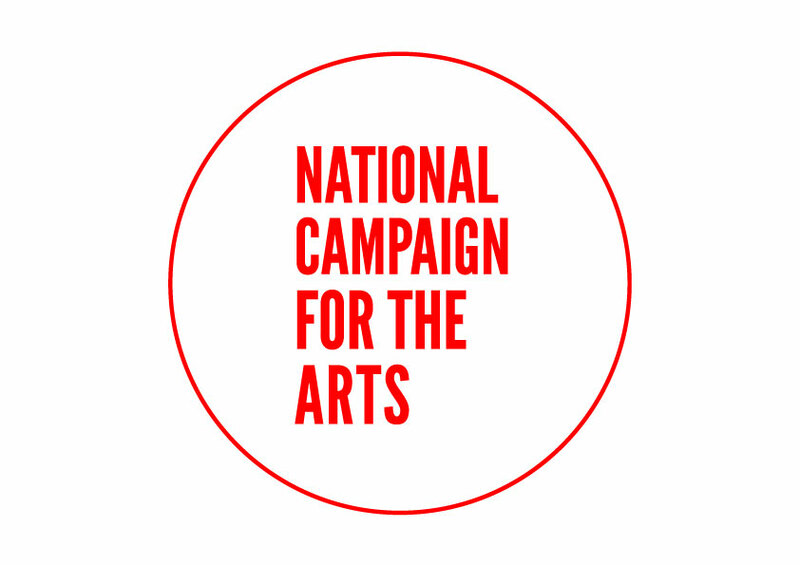 The National Campaign for the Arts was established in response to an Irish government report which, in the light of the economic crisis, was asked to recommend cuts in public spending. The McCarthy Report, as it was known, was published in July 2009. The report recommended amongst other things, the closure of the Irish Film Board and Culture Ireland. It also recommended that the existence of the Department of Arts, Sport and Tourism be ‘critically examined’. In response to these recommendations and in the shadow of the 2010 Budget, the arts communities of Ireland, led by the performing arts resource organisation Theatre Forum, decided to take action. On Wednesday 23 September 2009, the National Campaign for the Arts (NCFA) was officially launched at The Ark, A Cultural Centre for Children, in Dublin. The campaign had five initial demands which included the retention of Culture Ireland, the agency for the promotion of Irish arts worldwide, and the Irish Film Board, the maintenance of existing levels funding for the Arts Council, retention of the artists´ income tax exemption scheme and retention of the arts as part of a senior ministerial portfolio. The 2009 campaign was successful in seeing all of its demands met, except the maintenance of existing levels of funding to the Arts Council. A 5.6% cut to the Arts Council in the 2010 Budget, which translated into a €9 million reduction, left more than 300 organisations with severely decreased funding, while 30 organisations had their grant aid cut completely. The NCFA continued its work on behalf of the arts communities in 2010. The activities of the year culminated in two key events – the National Day of Action and Culture Source. The National Day of Action was held on Friday 17September. On that day arts workers and artists all 43 constituencies around the Republic of Ireland met their local TDs. This included a meeting in County Offaly with the then Taoiseach (Prime Minister) Brian Cowen. The event was a huge success attracting much national press coverage and raising the whole profile of the organisation. On Tuesday 21 September 2010, NCFA hosted Culturesource, an introduction to culture and the arts for senior civil servants and policy makers in Government departments. The seminar focused on the role of arts and creativity in the curriculum and as a catalyst for the creative economy and society. This was very well attended by both members of the arts community and Government policy makers. The aims for 2011 were very clear. It was time for the NCFA to move from being a tactical and reactive ‘campaign’ to a more strategic and proactive organisation or ‘movement’. The NCFA needed to review its structure as well as refresh and refocus its goals and priorities. The achievements for 2011 are already significant. The NCFA held election hustings and met 70% of new TDs in a nationwide Meet and Greet event. They have tirelessly lobbied Ministers and briefed Senators, whilst all also continuing to engage the general public. In the autumn, prior to the election of a new President of Ireland, the NCFA held Presidential hustings. There have also been meetings with the Arts Council, Local Authority City and County Managers with meetings with Local Councillors and Local Authority Arts Officers pending. The NCFA are embarking on a programme of gathering research and are about to commission a pioneering first phase of research on the value of the arts. They are in the process of identifying partners for quantitative and longitudinal research, writing terms of reference for research and writing a position paper on arts and education. The National Campaign for the Arts has also restructured itself. The whole organization to date has been volunteer led. It was recognized that existing structure was no longer sustainable and it would make it harder for the NCFA to achieve its long-term aims. The NCFA aims to be a light touch organisation with low burden of cost in administration. It will be an accountable, democratic and transparent organisation. The NCFA will identify Constituency Co-ordinators in each of the 43 electoral constituencies nationwide, hold regional meetings and appoint a new National Steering Committee (NSC). All this, with a view to calling its first general assembly in early 2012. The NCFA has proved to be a big success but there is still more to do. The campaign is continuing to promote the value of the arts as a vital part of contemporary Irish life and working to ensure the arts are on local and national political agendas. Through this period of restructuring and reassessment the National Campaign for the Arts will move forwards becoming more proactive and strategic in its aims and operation. This will mobilise the artists and all those involved and supportive of the arts across Ireland to a greater degree, propelling the organisation forwards into 2012 and beyond.